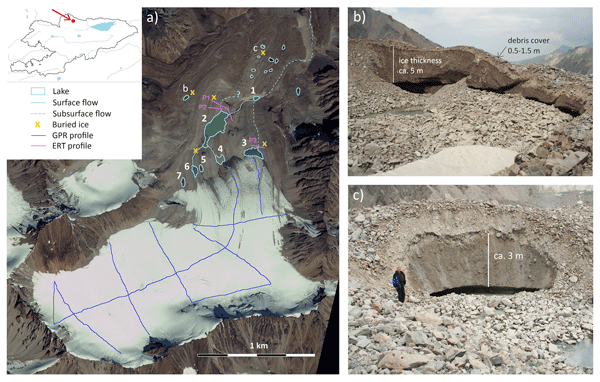 Using data obtained from multiple UAV flights over a debris-covered glacier in the Himalaya between 2013 and 2018 we show that the adjacent moraines erode at rates of up to 30 cm per year, contributing to this debris cover. With retreating ice and resulting instability of moraines this causes the glacier to cover itself in ever thicker layers of rocks, resulting in a possible future decrease of local melt. 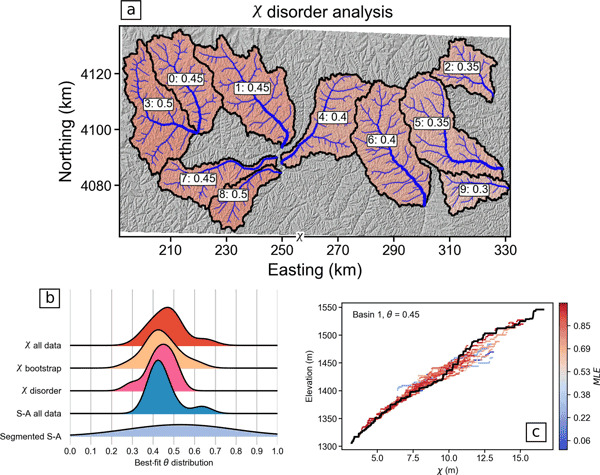 A simple model is proposed to improve the sediment concentration monitoring in the large rivers of the Peruvian Amazon from an index concentration sampled in the flow. 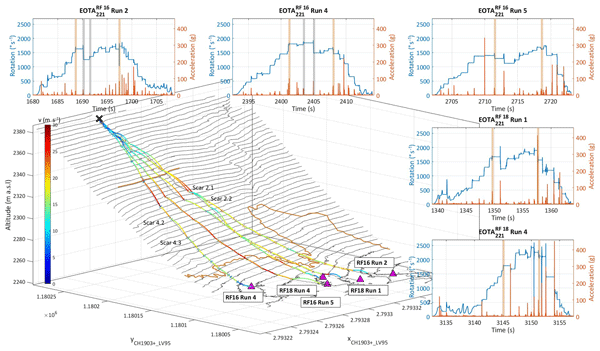 This powerful tool for optimizing the concentration sampling allows for detailed uncertainty analysis on the sediment fluxes. 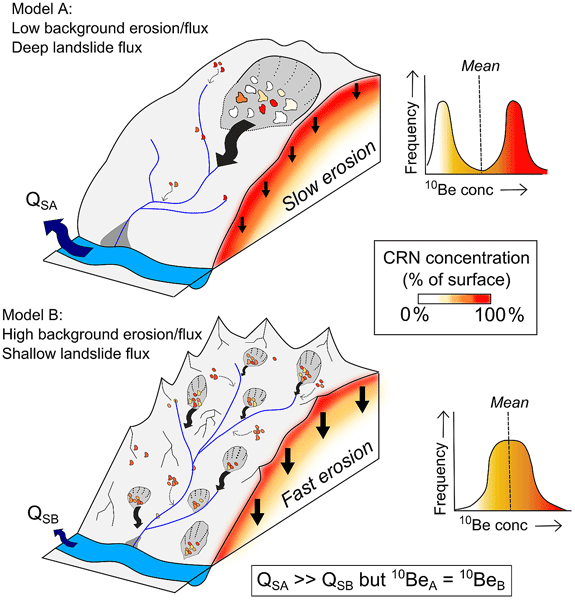 It can be coupled with remote sensing and hydrological modeling to serve as a step toward the development of an integrated approach for assessing sediment fluxes in poorly monitored basins. 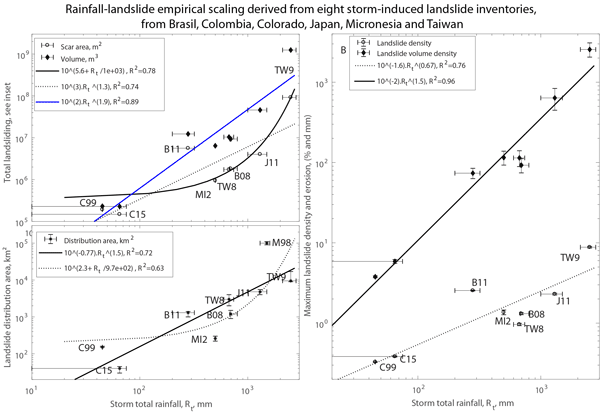 Our findings show regional sea-level rise (SLR) impact predictions can be made using relatively coarse data. To predict the coastal response to SLR, detailed information on the landscape, including elevation, vegetation, and/or level of development are needed. 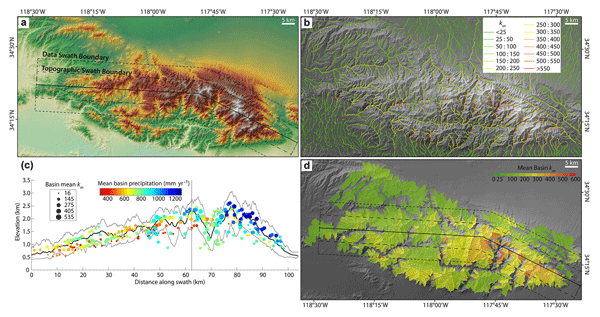 However, we find the inherent relationship between elevation and land cover datasets (e.g. 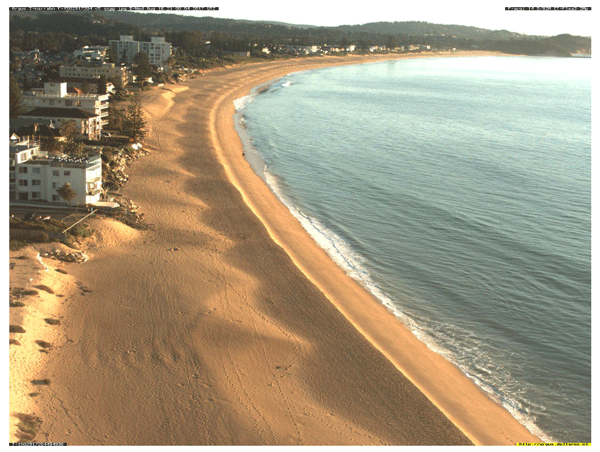 beaches tend to be low lying) is used to reduce error in a coastal response to SLR model, suggesting new applications for areas of limited data. 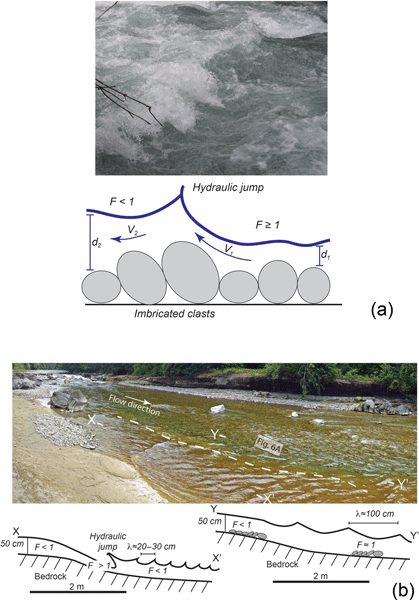 We performed seven physical experiments to explore terrace formation and sediment export from a braided alluvial river system that is perturbed by changes in water discharge, sediment supply or base-level. 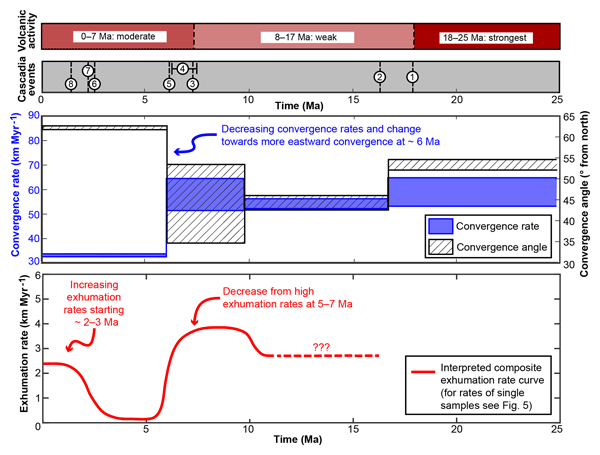 Each perturbation differently affects (1) the geometry of terraces and channels, (2) the timing of terrace formation, and (3) the transient response of sediment discharge. 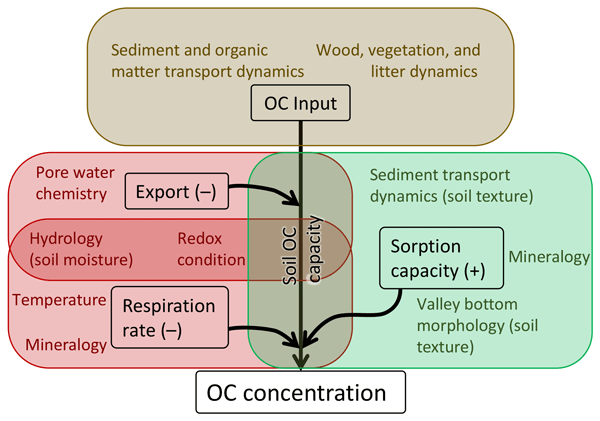 Our findings provide guidelines for interpreting fill terraces and sediment export from fluvial systems. 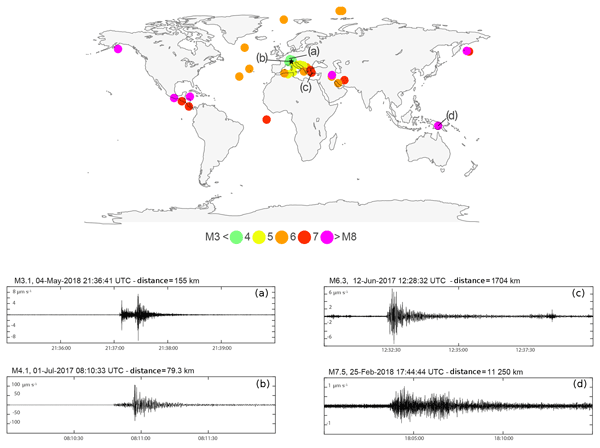 We evaluated the performance of the low-cost seismic Raspberry Shake (RS) sensors to identify and monitor rockfall activity in alpine environments. The sensors have been tested for a 1-year period in a high alpine environment, recording numerous rock failure events as well as local and distant earthquakes. 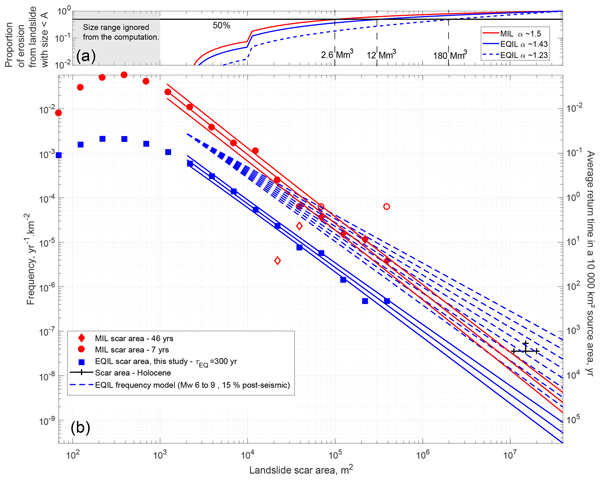 This study demonstrates that the RS instruments provide a good option to build low seismic monitoring networks to monitor different kinds of geophysical phenomena. 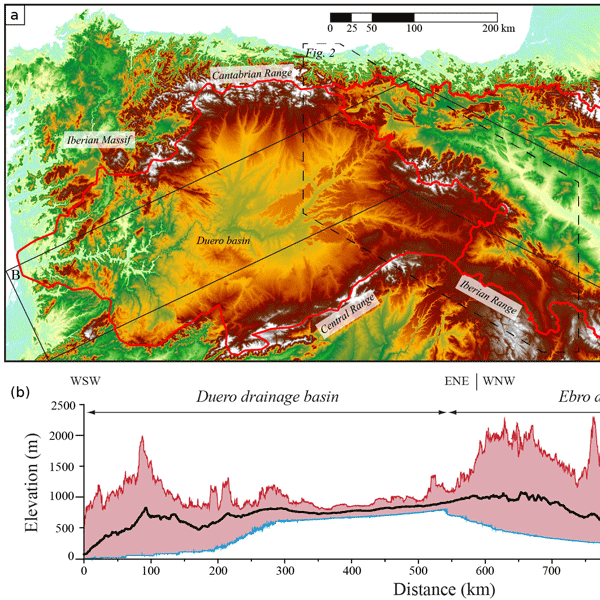 We present a numerical modeling study into the interactions between transient climate and vegetation cover with hillslope and fluvial processes. 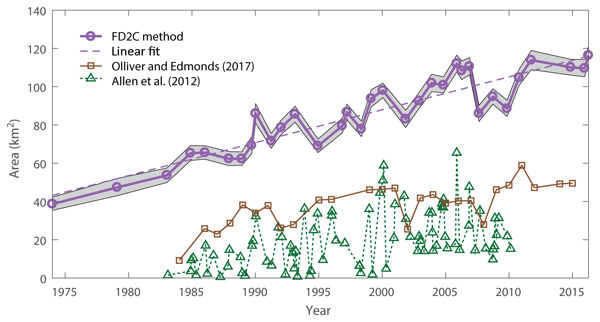 We use a state-of-the-art landscape evolution model library (Landlab) and design model experiments to investigate the effect of climate change and the associated changes in surface vegetation cover on main basin metrics. 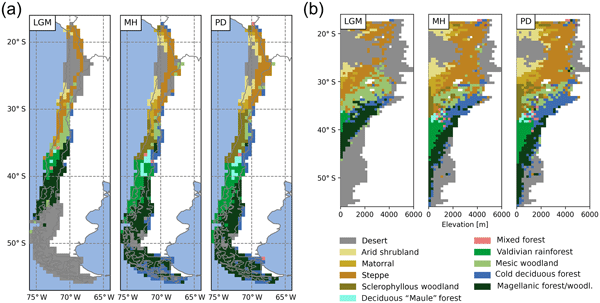 This paper is a companion paper to Part 1 (this journal), which investigates the effect of climate change on surface vegetation cover. We used a numerical model to assess the effect of grain size and rock composition on chemical weathering and grain detachment. 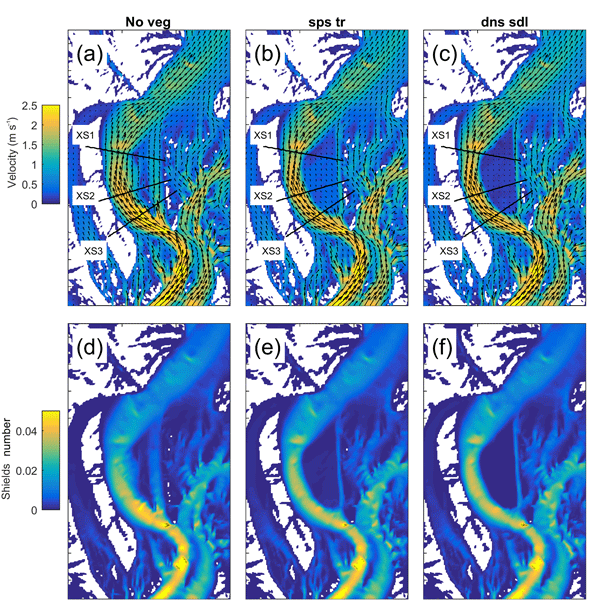 Our simulations showed that grain detachment represents more than a third of the overall weathering rate. 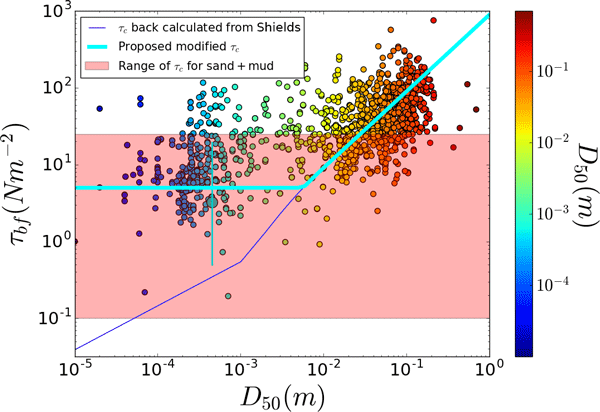 We also found that as grain size increases, the weathering rate initially decreases; however, beyond a critical size, the rate became approximately constant. Our results could help predict the sometimes complex relationship between rock type and weathering rate. The uppermost part of permanently frozen ground can thaw during summer and refreeze during winter. 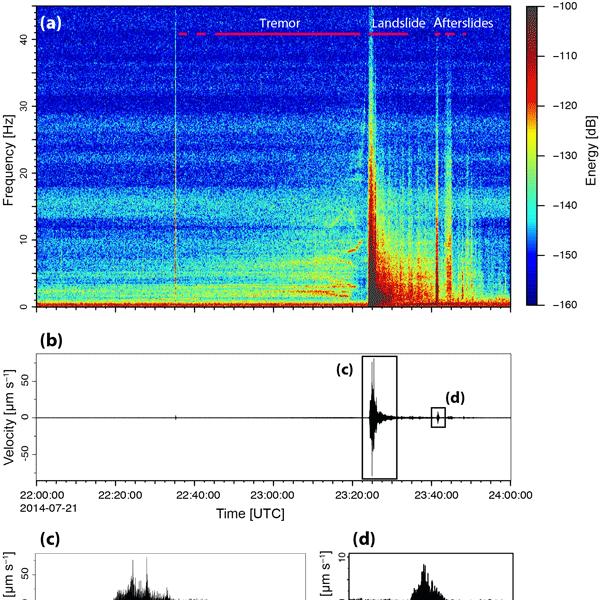 We use a method based on naturally generated seismic waves to continuously monitor these changes close to the research settlement of Ny-Ålesund in Svalbard between April and August 2016. 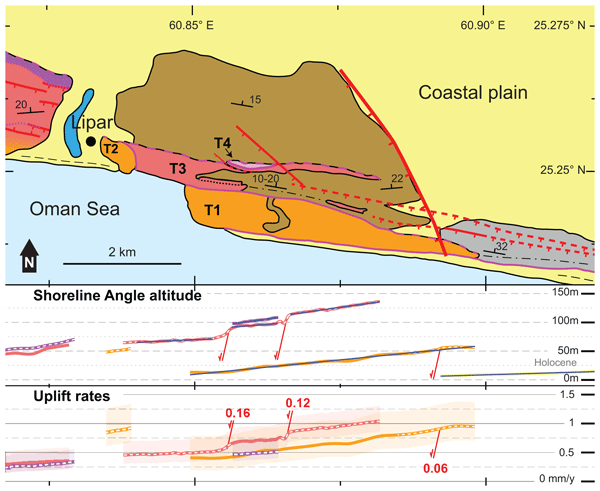 Our results reveal some potential pitfalls when interpreting temporal variations in the data. 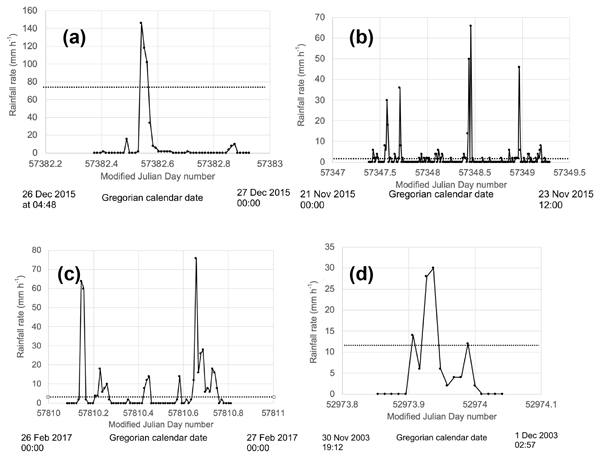 However, we show that a careful data analysis makes this method a very useful tool for long-term permafrost monitoring. 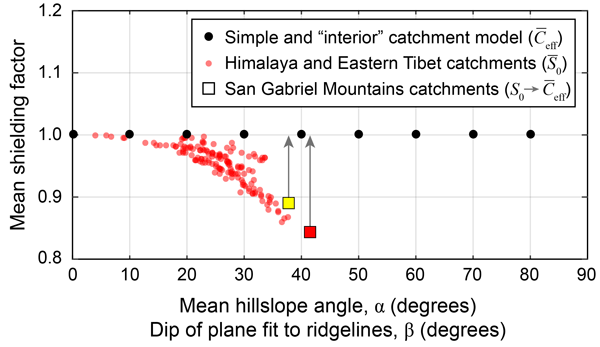 We propose a new algorithm to solve the problem of flow routing across local depressions in the topography, one of the main computational bottlenecks in landscape evolution models. Our solution is more efficient than the state-of-the-art, with an optimal linear asymptotic complexity. 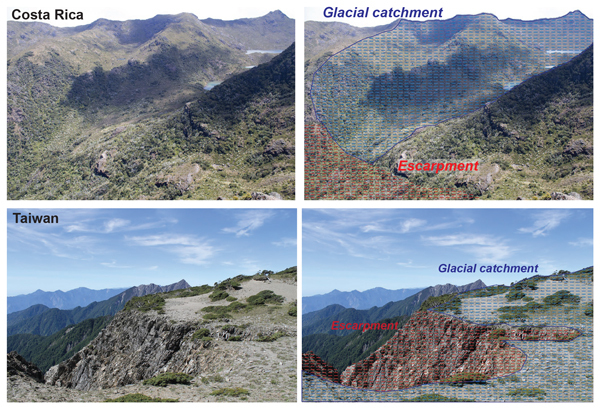 The algorithm has been designed specifically to be used within landscape evolution models, and also suits more generally the efficient treatment of large digital elevation models. 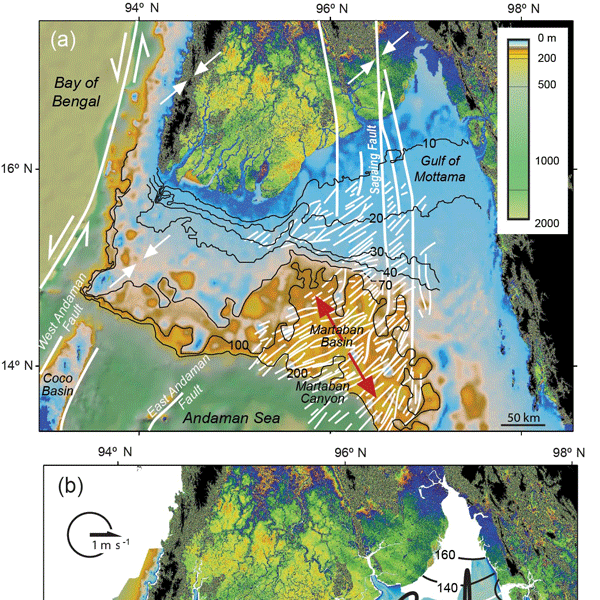 Our study reveals that worldwide mean erosion rates on the million year scale are very similar to present-day erosion rates in contrast to the majority of the previously published results. 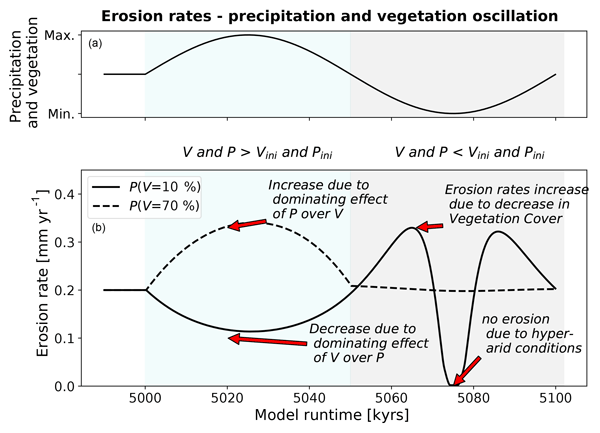 Concerning the dependence of erosion on climate we found that the long-term erosion efficacy of the tropical zone has been about five times higher than that of the cold zones, while the erosional efficacy of the present-day arid zone has been as high as that of the temperate zone. 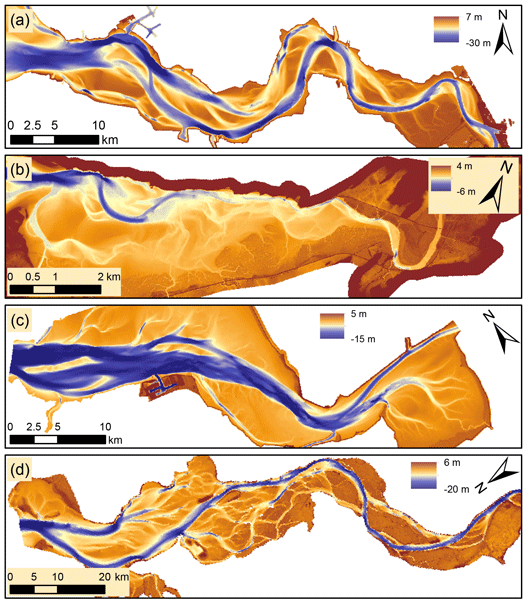 Identifying contemporary river migration rates is often based on aerial photos or recent topographical maps. 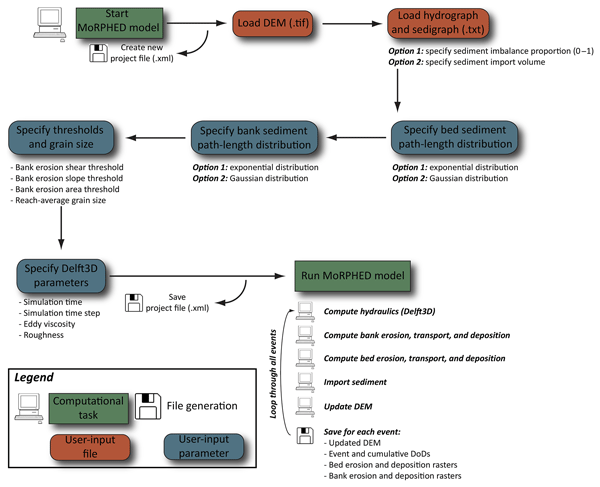 Here, we propose to use river sediments as an archive to look further back in time using optically stimulated luminescence (OSL) dating and develop a modelling procedure for the joint analysis of dating results and historical maps. 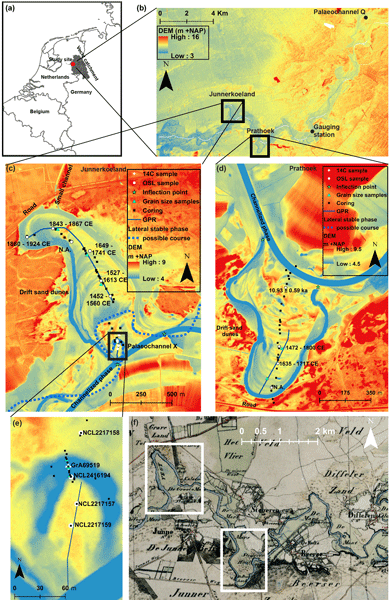 The procedure is applied to the Overijsselse Vecht river in The Netherlands, and we show that the river migrated with 0.9–2.6 m yr−1 between 1400 and 1900 CE. 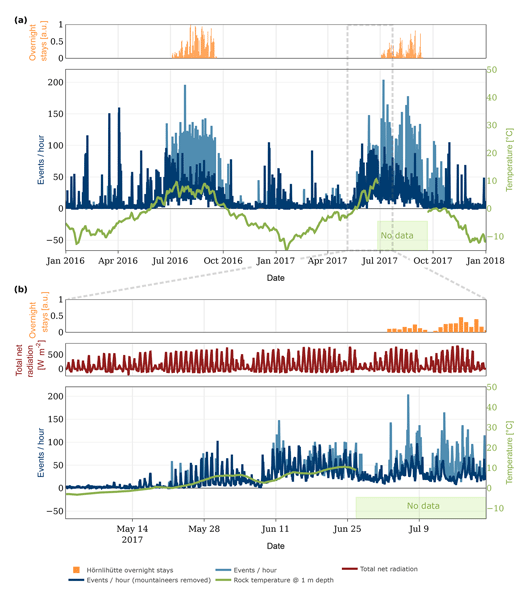 This research has been conducted to develop the use of Passive Acoustic Monitoring (PAM) for bedload monitoring in rivers. 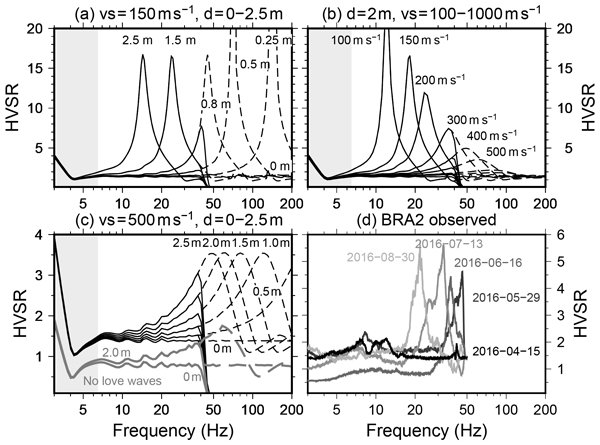 Monitored bedload acoustic signals depend on bedload characteristics (e.g. grain size distribution, fluxes) but are also affected by the environment in which the acoustic waves are propagated. 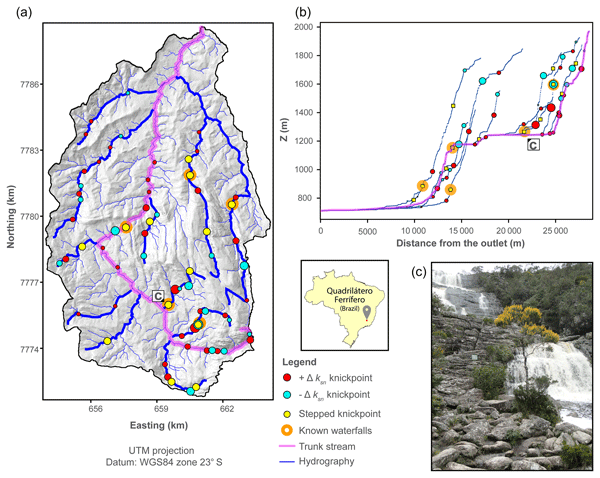 This study focuses on the determination of propagation effects in rivers. 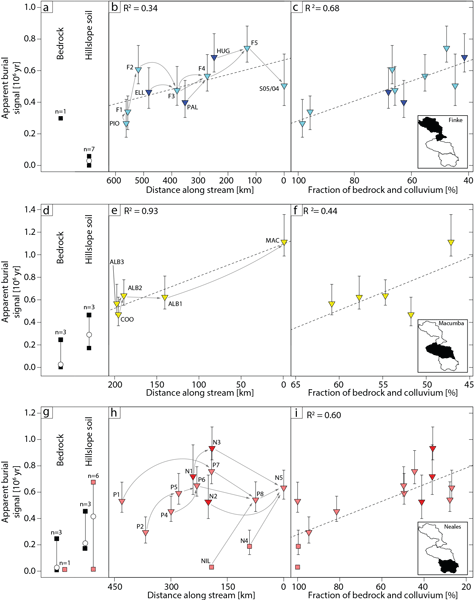 An experimental approach has been conducted in several streams to estimate acoustic propagation laws.